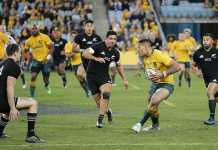 On Saturday night the Wallabies opened their June test series with a bang, defeating the more favoured Irish rugby team by 18 points to 9, and 2 tries to none. Ireland came into the three test series ranked as the second best team in the world, with Australia rising to third (ahead of England) after the win. Ireland had been on a 12 match, 15 month winning streak before Saturday night, highlighting the Wallabies achievement. The Irish also dominated the possession and territory stats, but were unable to penetrate the Wallabies defence. David Pocock helped in his return to international rugby, claiming a number of handy turnovers in a superstar performance. Australia took an early penalty goal to open the scoring, with Ireland hitting back 10 minutes later to level the scores. A second Irish goal saw them take the lead after 25 minutes. Kurtley Beale, however, created a try out of nothing on the 33 minute mark to see Bernard Foley score a try in the corner and claim an 8-6 lead at half time. Ireland took the lead again with a third penalty goal in the 55th minute, in what would be their last score of the night. A disallowed try to Israel Folau had Australian supporters fuming around the one hour mark; however a penalty goal to Foley with 10 minutes to go saw the Wallabies go ahead. A try to David Pocock with 5 minutes on the clock (converted by Foley) sealed the result as Australia took a 9 point lead. 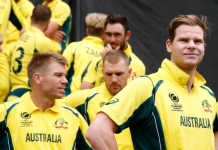 The result was very encouraging for Australia, who proved that they can compete with the best teams in the world. Next week in Melbourne will be a huge clash, with the Irish expected to call in the cavalry, headlined by superstar five-eight Jonathan Sexton. Previous articleHow much value is added by a roof restoration? Next articleHow can property styling boost my sale price?